Galactic Civilizations III has been available as an Early Access release for the better part of a year now, and it looks promising: "The pieces in place so far feel sturdy and well-implemented, and the charm and appeal of GalCiv is definitely there," was how our Early Access review called it. A lot has happened since then, and today Stardock announced that the game will be ready for full launch on May 14. Stardock says Galactic Civilizations 3 is "the largest and most diverse sandbox strategy" game ever made, with an "effectively infinite number of ways to design and deploy starfleets" and numerous paths to victory. Rulers can conquer the galaxy with brute force, or take a more peaceful approach by creating a culturally-enlightened society that other races will line up to join. 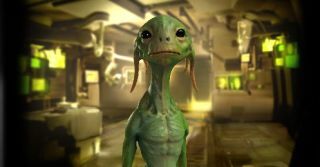 The game also offers extensive mod support, allowing creators to add just about anything they can think of, from new ships to entirely new races and tech trees. In spite of the looming launch, Stardock is still releasing new beta versions of the game, most recently the 5.3 beta that came out just a couple days ago. The latest update adds pirate bases, improvements to the AI and game performance, and "a multitude of polish points, balance improvements, and fixes large and small." Full patch notes are available here. For those who can't wait until May 14, Galactic Civilizations III is still available as an Early Access release for $50/₤30 on Steam.